Last year, 'Last Week Tonight With John Oliver' led variety talk shows at the Primetime Emmy Awards with eight nominations in seven categories. This year, it exceeded last year's haul with nine nominations in eight categories. Two of them, Outstanding Production Design For A Variety, Reality Or Reality-Competition Series and Outstanding Picture Editing For Variety Programming, went to the episode centered around the segment Sinclair Broadcast Group, a topic in the news. Oliver was pretty certain that the merger would go through. It didn't. As Ars Technica reported Thursday, FCC votes against Sinclair/Tribune merger, likely dooming deal. The Federal Communications Commission has voted unanimously against approving Sinclair Broadcast Group's acquisition of Tribune Media Company, likely dooming the merger. Technically, the commission adopted a Hearing Designation Order that refers the merger to an administrative law judge. Mergers usually don't survive that legal process. Besides referring the merger to a judge, the FCC's other options included denying the merger outright, approving the merger, or approving it with conditions. The unanimous vote to refer the merger to a judge was finalized on Wednesday evening. Sinclair's problems stem from its plan to divest some stations in order to stay under station ownership limits. 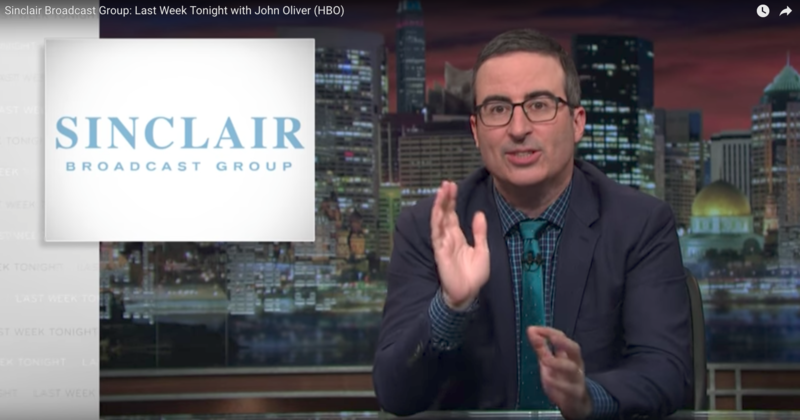 FCC Chairman Ajit Pai proposed the designation order on Monday, saying that Sinclair's proposal to divest certain stations "would allow Sinclair to control those stations in practice, even if not in name, in violation of the law." "When the FCC confronts disputed issues like these, the Communications Act does not allow it to approve a transaction. Instead, the law requires the FCC to designate the transaction for a hearing in order to get to the bottom of those disputed issues," Pai said Monday. Fox Business sounded even more pessimistic in its analysis, declaring Sinclair-Tribune deal is dead for now: Charlie Gasparino. FBN’s Charlie Gasparino discusses the latest on the FCC’s concerns regarding the Sinclair-Tribune deal. Good news for people concerned about corporate consolidation and a balanced media environment! 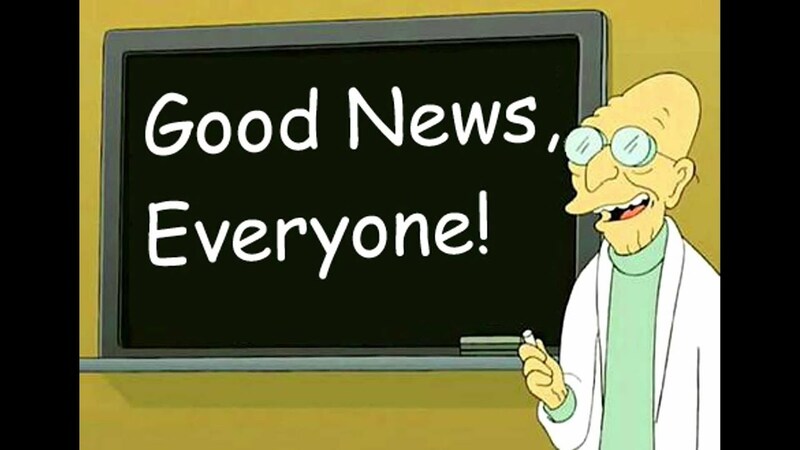 It's enough to get me to post Professor Farnsworth. To be fair, as important and informative as that segment was, it probably wasn't what earned this episode its Emmy nominations. In fact, at least one of them definitely went to Harding, which served as the episode's conclusion. That was even more hilarious than the first time I watched it! I can't wait to see what he does with the other four presidents. "Last Week Tonight with John Oliver" has seven more nominations for me to cover, to say nothing about all the other nominees in politics, science, and speculative fiction. Stay tuned.